This eye candy is an all-season darling - a perfect rustic treat in colder months as well as a delicious companion for picnic and lake trips on days of sunnier weather. It can be enjoyed fresh from the oven or cold, on its own or paired with a crunchy green salad. For the dough, mix the ground almonds, corn flour, ground walnuts, garlic, rosemary and salt with your hands and kneed them with the Pecorino, almond milk and coconut oil until you reach a crumbly homogenic mixture. Either line the quiche form with parchment paper or grease it with a little bit of olive oil. Press the crumbles evenly into the form and blind bake for 10 minutes. Once the dough is ready, spread the tomato slices and red onion rings over the dough. 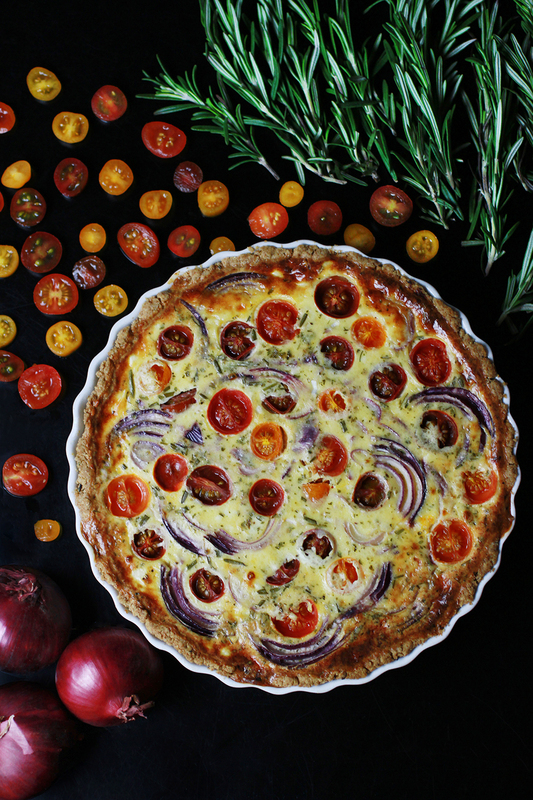 Heat a drizzle of olive oil in a pan and fry the yellow onion and rosemary until golden brown. Stir in the corn starch. Add the almond milk as well as the grated Pecorino, mix well and season to your liking. 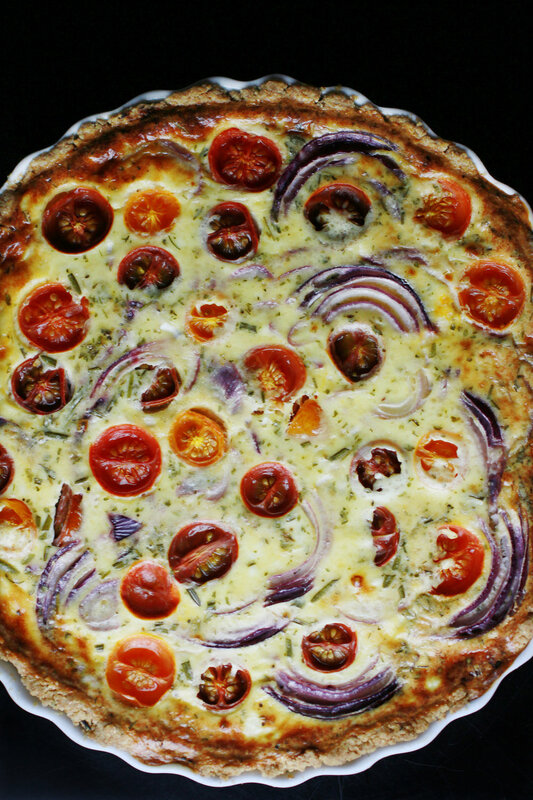 Pour the mixture over the tomatoes and onions and bake the quiche at 200 °C for 30 - 40 minutes until golden.